In 2016, I was surprised and delighted to have Mark Anthony Dyson call me, asking if I’d like to be a guest on his podcast. Um, yeah. I sure would! Mark’s an excellent interviewer, and he has the kind of voice you can listen to endlessly. 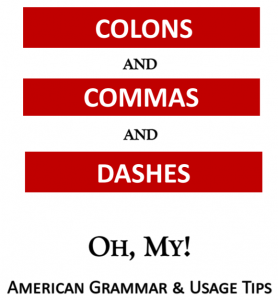 He wanted to give his listeners some information on American grammar, how it’s changed over the years, and a couple of specific issues that many writers or speakers face. This was totally new to me, and I learned a lot from Mark about how to be interviewed for one. Then, I was really stunned when he called in September of this year to ask if I would like to be on another podcast! Apparently my first one placed very high in the rankings of all of his interviews, so he thought it would be a good idea to do a second one. Of course, wouldn’t you know that he had some technical difficulties — enough so we started the interview four or five times? Mark’s a professional, and his podcasts show that. But because it took so long, I know that I, at least, was laughing as we started the one you’ll hear below — my voice is a little loud at the beginning because all the laughing energized me and I wasn’t calm or composed. Heck, we weren’t even sure if that one would “make the cut,” but it went off without a hitch.